Continuing the theme of last week's blog, I thought I would share a few more images from my 'Signs' collection. They are quite self explanatory, so I will allow them to "speak" to you as they spoke to me. 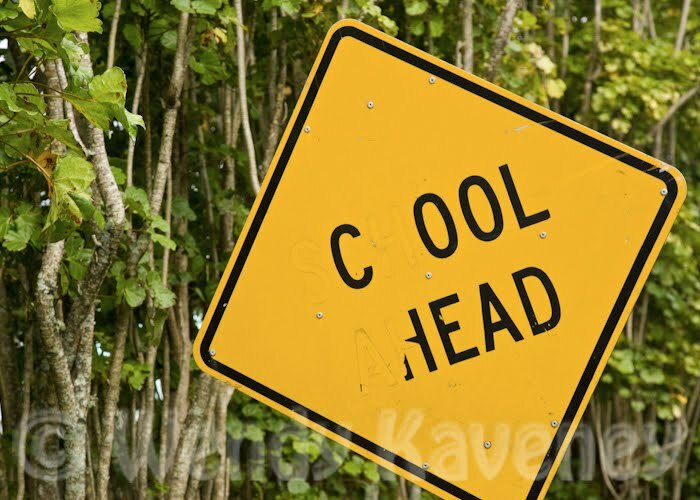 This altered school sign was found in Rarotonga. 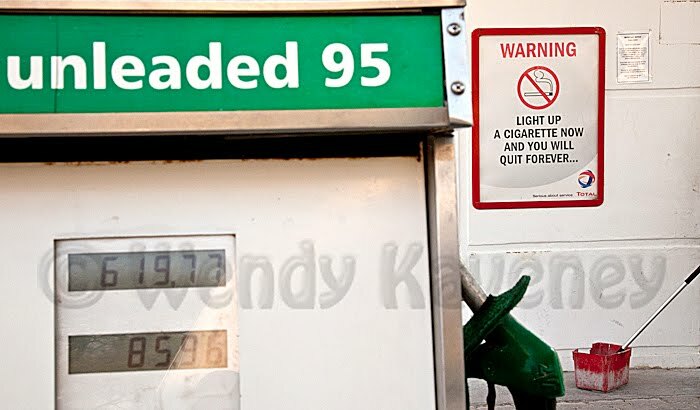 When we stopped for gasoline in Etosha National Park, I couldn't help but snap this composition of a sign at the Namutoni station. Click on the image to read the sign's subtle, yet strong warning. Some signs that seem different to us are common place in other countries- like the various exotic animal crossing signs in Namibia. But since they are unique to me, I photograph them. 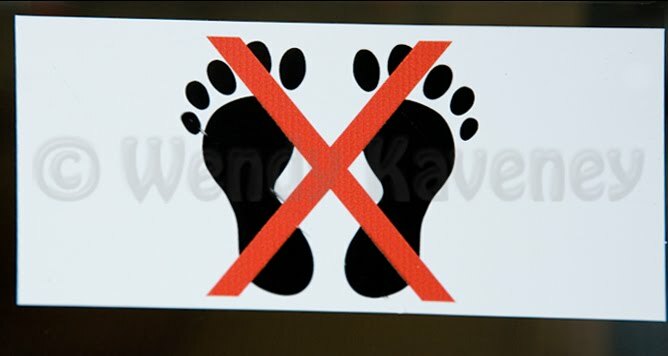 This "No Bare Feet" sign was at the foot (no pun intended!) of an escalator in the Papeete Market in Tahiti where bare feet are more common than wearing shoes in the US. 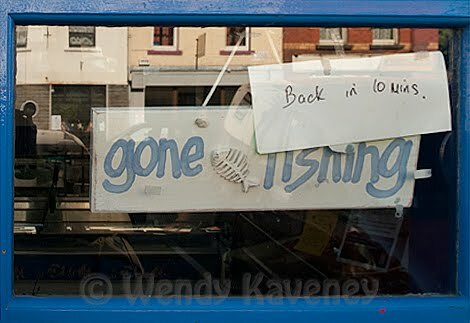 I couldn't resist taking this image of a "Gone Fishing-Back in 10 Minutes." sign in Ireland. 10 minutes from when?? ...and what about this humorous sign discovered in Sossusvlei? A few weeks ago, I suggested keeping themes in mind when out photographing. By having regular themes in my head, I always have subject ideas to search for jumpstarting my creativity. I like photographing signs. They are one of my many theme collections in my photo library and range from interesting to humorous. 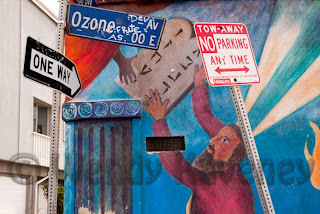 I made this image in Venice Beach, California. My daughter and I set out with cameras in hand to photograph the people and sights on a Sunday afternoon, when the area was buzzing with activity. (And plenty of photo opportunities!) Vendors, joggers, tourists, and artists crowded the Ocean Front Walk. Along the boardwalk is a long row of shops and restaurants that goes on for city block after city block. We walked the length of it more than once. On our recent visit to The Great Smoky Mountains National Park, many of the roads were closed in order to make improvements to them. The construction resulted in the closure of several popular park roads forcing us to explore less traveled areas of the park in depth. 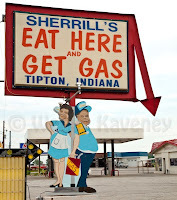 One of these places was Elkmont. The Elmont Community was established in the early 1900's. It was the birthplace of the Little River Lumber Company, and with a lumber company came the need for railroads and trains to haul the lumber. The train became popular for travelers and so an observation deck and passenger cars were added. On weekends, wealthy travelers from Knoxville would ride the train to Townsend and transfer to Elkmont where there was abundant fishing and hunting. In 1910, a hunting and fishing club was established in Elkmont called 'The Appalachian Club.' It was joined by many of the prominent people from Knoxville. The club soon grew social in nature, as well, and women joined their spouses on weekend trips to this beautiful forest retreat in the mountains. Soon a hotel was built in addition to many summer cottages. By the early 1920's, Elkmont was the second largest town in Sevier County. The town was a peaceful summer haven until talk of a National Park began. Elkmont was located within the proposed park's boundaries. In 1934, The Great Smoky Mountains National Park was born. 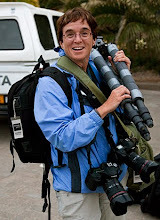 Since the public is not allowed to reside on National Park land an agreement had to be made. The US government offered the residents of Elkmont partial payment for their properties in exchange for lifetime leases. One by one the leases ran out and the houses became vacant. By 2001, all of the cabins were vacant and many are still standing. 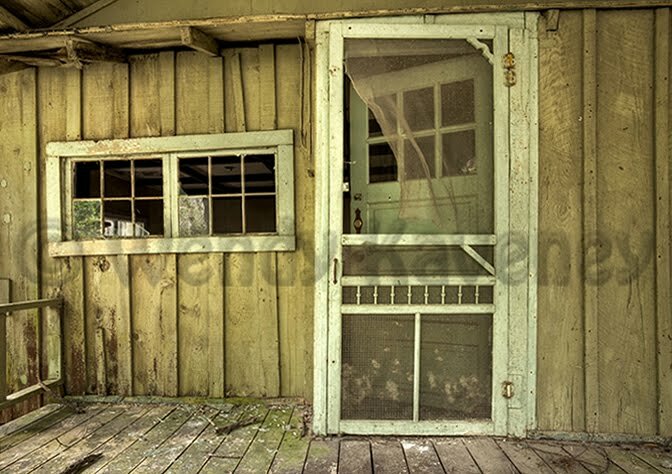 The "ghost town" of Elkmont gave us a change of pace from photographing the layered mountains, waterfalls and spring flowers, and so we spent a full day there taking on the challenge of capturing the crumbling structures from another era. A new gallery of images from Elkmont has recently been posted on my web site which you can visit by clicking here.